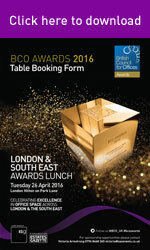 SOLD OUT - Join us at this Awards lunch to celebrate excellence of office space in the London and the South East region. SOLD OUT - The London & South East Awards lunch will be returning to the 5-star Hilton on Park Lane to announce its regional winners. Following pre-lunch drinks in the Wellington Ballroom, guests will be seated in the Grand Ballroom for a 3-course lunch and entertainment. 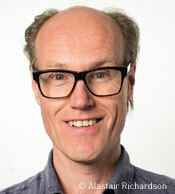 Will Gompertz is a world expert on Modern Art and was voted one of the World’s Top 50 Creative Thinkers by New York’s Creativity Magazine. Will's new book "Think Like an Artist: Imaginative Ways to a More Creative and Productive Life" was released by Penguin in July 2015. A witty and inspiring read, it identifies ten lessons to be learned from the greatest artists across history, to give us tools to unlock creativity and thrive at work and in our personal lives. As a writer he has penned numerous articles for, among others, The Times and The Guardian. His book, “What are you Looking At? 50 Years of Modern Art in the Blink of an Eye”, was published by Penguin in Autumn 2012. Will was previously a Director of The Tate Gallery and in 2009 he wrote and performed a sell-out one-man comedy show about modern art at the Edinburgh Festival.